Depending on who you talk to, who is more traveled, the answer will be different. 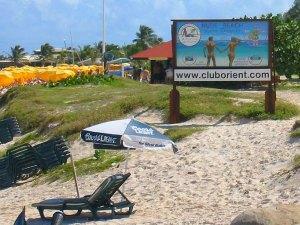 But there is no doubt that Orient Beach, St. Martin, is quite the beach. 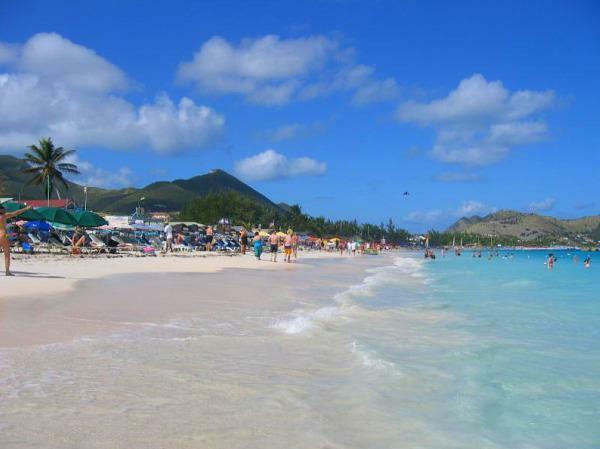 And if you’ve been to St. Martin, and were bound to the Dutch side – sorry – the spectacular beach is here, on the French side. Every local knows where this place is, so don’t be shy, but ask where Orient is and you’ll get directions. We drove from our hotel on the Dutch side and it took us through some of the strangest looking growth. Even in paradise, there’s poverty and you’ll find as we did, that the money follows the coast. We did not follow the coast and went through the island. A full two miles of soft white coral sand, and water that will have you wondering if you’re not staring into crystal, Orient Beach is really in a league of its own. We’d have to journey to the Seychelles to find something comparable. I suppose the only thing that ruins the whole thing is having people here. But that’s part of tourism. Time your trips here to arrive when the cruise ships are out of port. As at your hotel for information. The French hype their side of the island, and rightly so, as the “Riviera of the Caribbean“, although some would argue that the title belongs to the Mayan Peninsula of Mexico. French also declare Orient and the best in the Caribbean – and will tell you it’s “certified” – even though there is no global authority on beaches. And that’s good, because we all have different tastes. But believe me when I tell you if there is not much here, it’s probably not worth the effort to visit. Orient is not this way – there’s more than enough and it’s all great fun. Just watch what you gaze at. You may burn that memory in for ages. Oooooh. Okay, it’s not the Cote de Azur – but Orient Beach does deserve a look. It has been made famous because – one, it’s a big stop on the cruise ship tours. The second reason makes it one of the most popular search term for beaches. But you want to know what Orient Beach is really like. Other areas are deemed family. An update: Remember that if you drive from the Dutch side it will take a good deal of time, say over an hour, to reach Orient Beach. This is because there are no highways and there is a lot of traffic. When we return, we’ll take them one by one starting with the one you’ll probably hit first, Bikini Beach!